Texas Independence Day is March 2nd. On that date in 1836, Texas declared its independence from Mexico and became an independent nation. It joined the United States of America as our 28th state on December 29, 1845. Take a look at that big old beautiful Texas Lone Star. 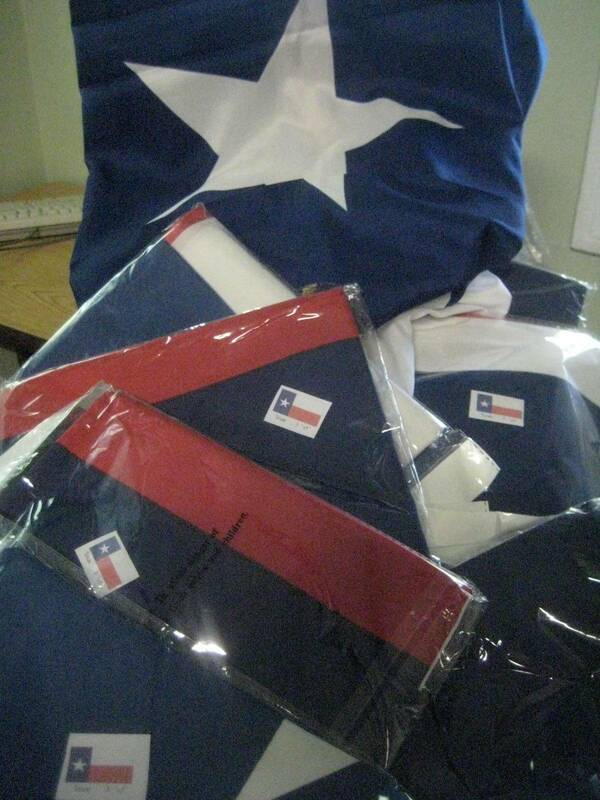 These are fully stitched Texas flags. 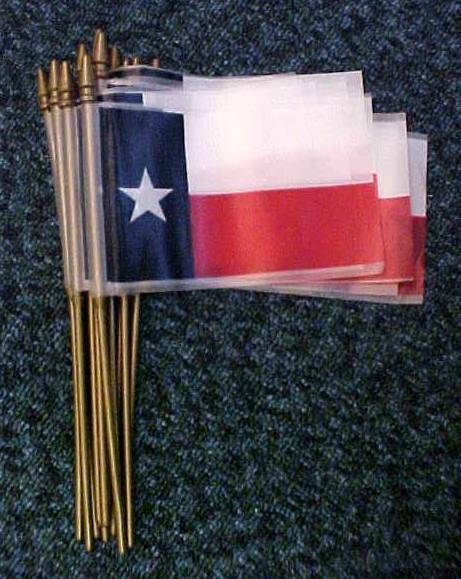 My fine quality Texas State Flag mounted set comes to you with the flag and Texas star ornament all attached on the dark oak finish pole. Just screw the two pole halves together and insert into the floor stand. 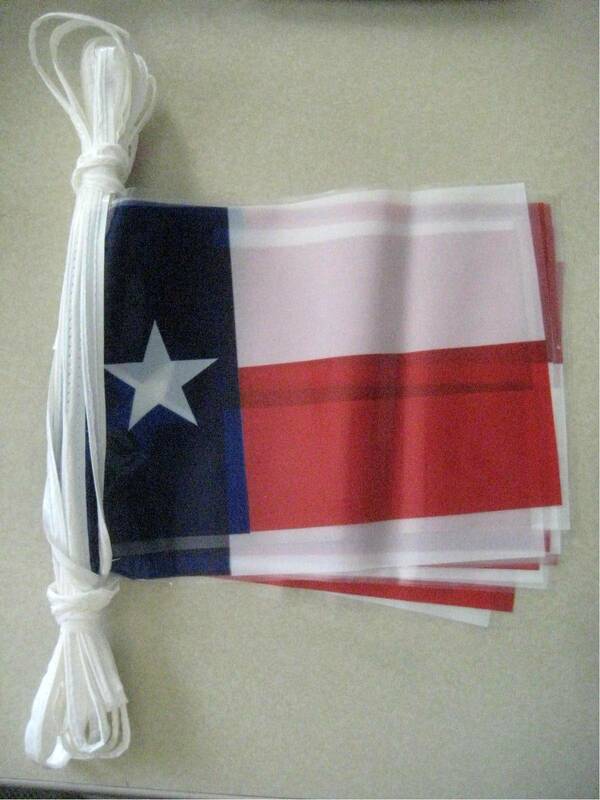 3x5' silk-screened silky nylon fringed Texas flag with SEWN star on both sides. Floor Stand #FS1: 12", 11lb Matte Gold Anodized Aluminum Shell over weighted solid inner core filled with concrete. 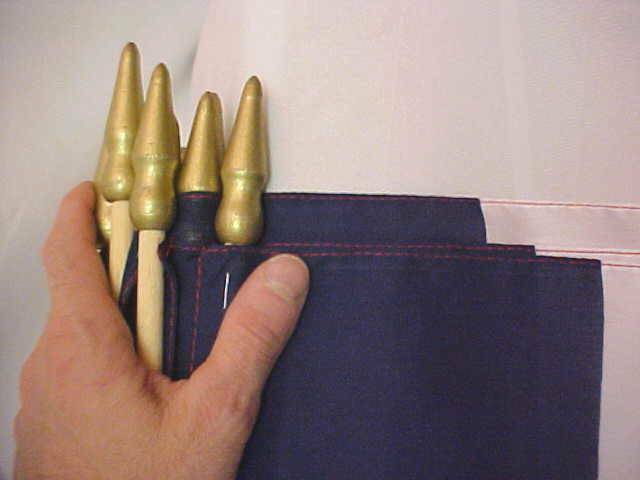 I iron your flag before I mount it. If you don't think that is a good idea, take a look at the alternative. 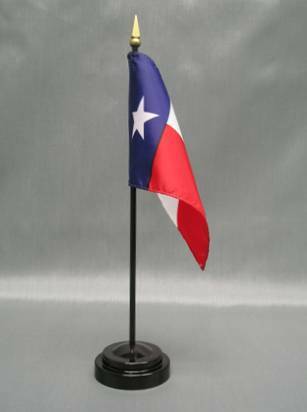 Wooden table base 2 1/8"
It is the only flag known with certainty to have been at The Alamo. Captured by Mexican leader Santa Anna it was sent back to Mexico City where it remains today. 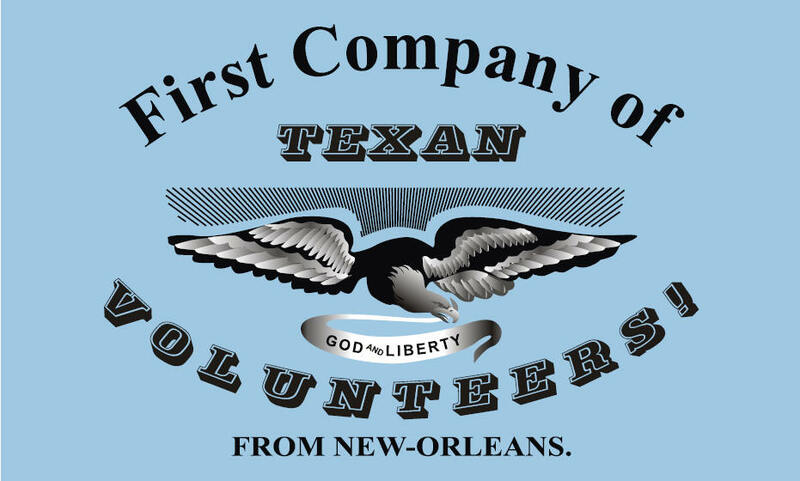 The New Orleans Greys were organized in 1835 and consisted of some 100 men from 12 states and 6 countries. One account claims that a young lady presented this flag to the unit as it crossed the Sabine River into Texas. The Greys later split up into two groups. One joined Col. Fannin's ill-fated men who would be slaughtered after surrendering at Goliad. One remained with this flag, joining the small band holding The Alamo. The 182 Alamo defenders held out for 11 days before perishing in the onslaught of 5,000 Mexican troops on March 6, 1836. Their stand for the cause of our great Lone Star State's independence is world famous. With a great big giant fully sewn Lone Star State star. 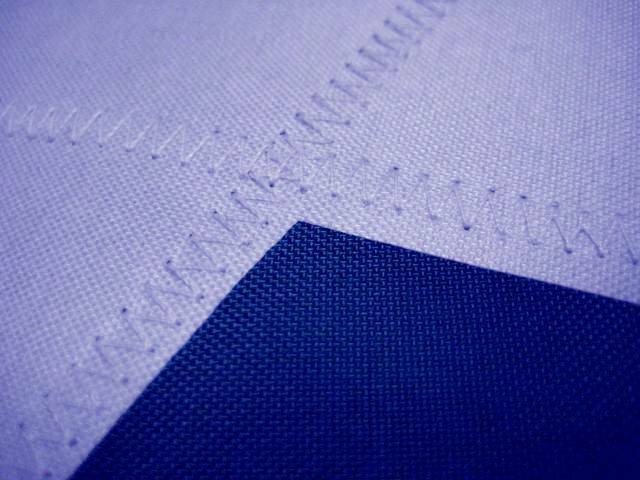 The three stripes are also sewn. She's a beauty! 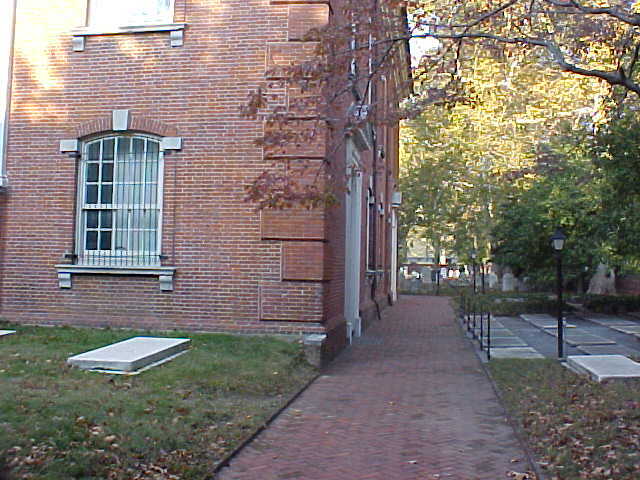 The grave (left) of George Mifflin Dallas at St. Peter's Church in Philadelphia, Pa. A supporter of western expansion and of Texas statehood, Dallas was a Philadelphian, a US Senator and Vice President under Polk. But according to the City of Dallas itself, is is unlikely that the city of Dallas Texas is named after him. Six Flags Over Texas Texas Register article examining the Texas Historical Commission's recommended designs of the six national flags to fly over Texas soil. "The "Zavala flag" was allegedly adopted in Convention of 1836qv at Washington-on-the-Brazos. 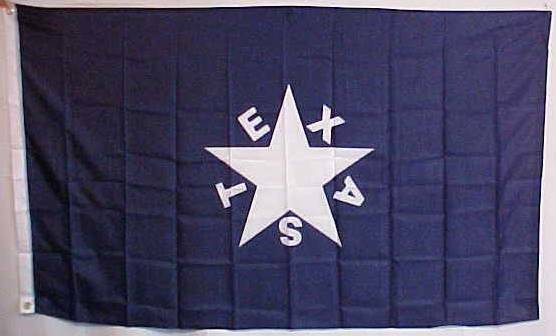 It is usually portrayed as a blue field with a white star of five points central and with the letters "TEXAS," one letter at each star point. This description of the flag, however, is inconsistent with the journal entries of the convention for March 3, 1836, and March 12, 1836, which do not indicate that the convention accepted Zavala's design. In addition, the actual configuration of the flag is unknown because the journal does not describe Zavala's proposal of March 11, 1836, though it does state that William B. Scates'sqv motion to add a "Rainbow and star of five points above the western horizon; and a star of six points sinking below" was accepted. Finally, the journal reflects that Charles Stanfield Taylor,qv not Zavala, suggested that the letters "TEXAS" be placed around the star. 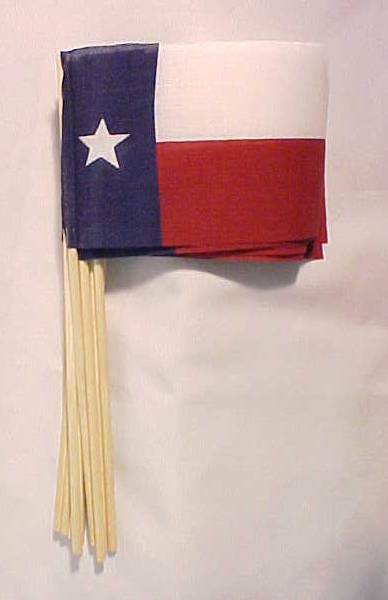 Although several books claim that the "Zavala flag" is the first official Texas flag, the historical record does not support this assertion." 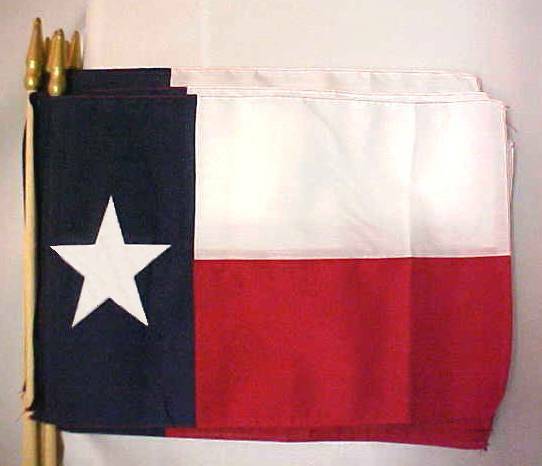 Being a Scout leader of Boy Scouts of America for many years, my question is simply, what is the true way to fold the Texas State flag? 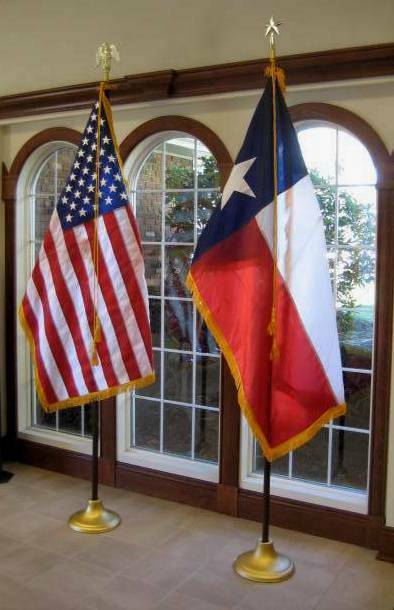 There is nothing said in the Texas Flag Code about the folding of the state flag, and I have emailed several of the State Congressmen, Senators, even contacted several college level ROTC units such as Texas A & M, and the University of Texas. I received confused answers, like fold the flag like the U.S. flag, or fold it like a big square. No true answer on the proper way to fold the Texas Flag. What would you suggest being a flag company? 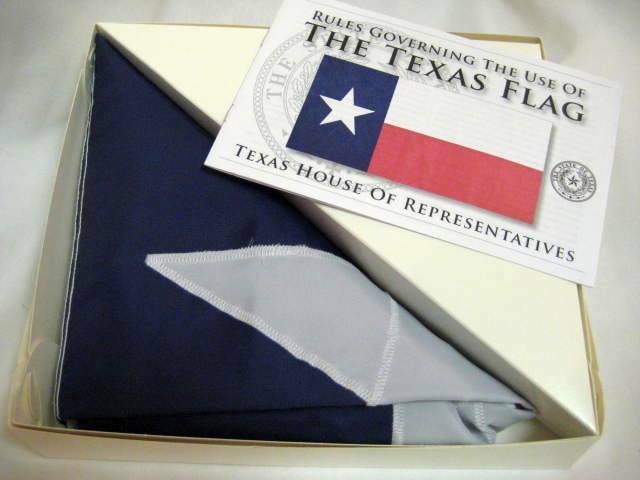 >>After reading your website Q & A on the Texas flag, I decided it was time for me to undertake careful and detailed research, since I had provided information that was incorrect (re the Texas House Sergeant at Arms). But it was enough to spur me into calling the Texas DPS to ask. It took a few days to get the answer, which was prefaced with "Texas flag code doesn't say how to fold the state flag ... " but a member of the honor guard for the Governor's funeral said they folded the flag in the traditional triangular fold, starting on the white end and finishing on the blue end, with part of the white star showing. he said that he fields phone calls every day from people asking how to fold the Texas flag. So he tells them, "The Texas flag code ... ." We had a good laugh about it, but he said that lacking specific legislative instructions, the Governor's office has traditionally folded the Texas flag into the standard triangle, with the blue end showing a bit of white star. 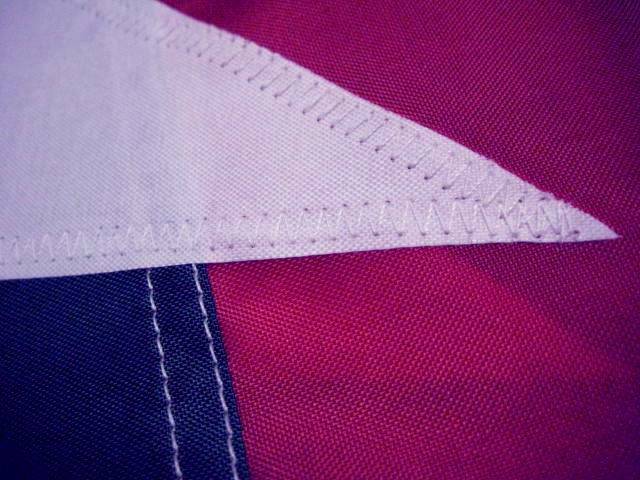 It would seem that the instructions I gave you via the Sons of the Texas Revolution may be their own organization's method of folding the flag (to make an all white triangle) and as noted above, "The Texas flag code ... ."
a bill to add this to the flag code. So I think I'll get my act together and be ready post-election, and see if I can jump-start a clarifying change in the Texas flag code. Texas State Senator, District 21"
The bill’s text follows. 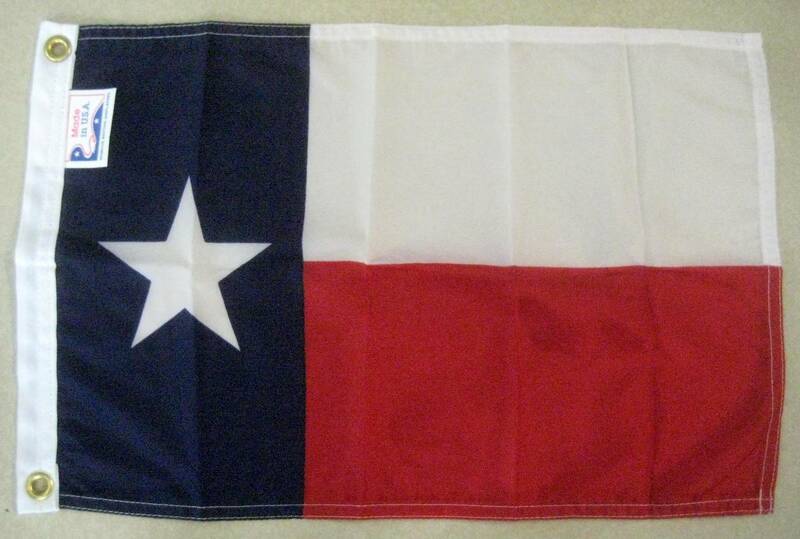 Keep in mind that Senator points out the proper folding of the Texas flag is "memorialized" with this new statute. As with the US Flag Code, the bill now gives us a codified rule of protocol for those wishing to get it right. 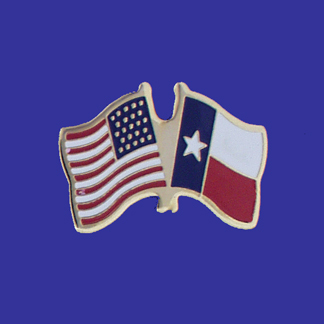 It provides an honorable standard that is now part of official Texas state flag etiquette. There are no penalties or enforcement provisions included in the bill. 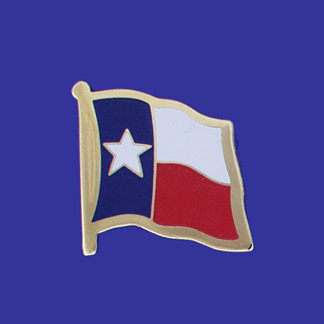 SECTIONA1.AAThis Act shall be known as the Rod Welsh Act, in honor of Rod Welsh, Sergeant-at-Arms of the Texas House of Representatives, who is primarily responsible for developing the method of folding the state flag of Texas established by this Act. (6)AAsecure all edges into the folds. 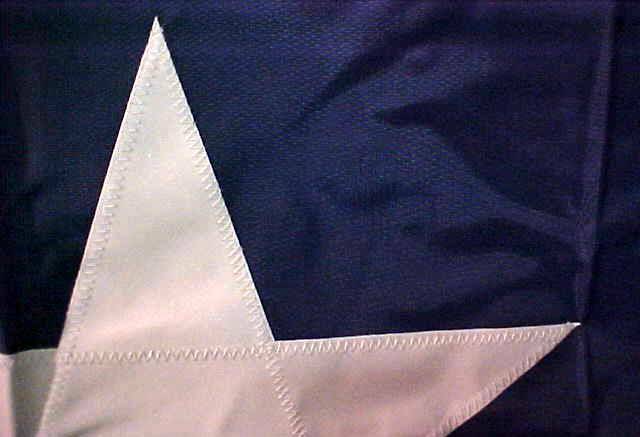 (b)AAA folded state flag should be presented or displayed with all folded edges secured and with the blue stripe and a portion of the white star visible. (c)AAA folded state flag should be stored or displayed in a manner that prevents tearing or soiling of the flag. SECTIONA3.AAThis Act takes effect September 1, 2009. AprilA30,A2009, by the following vote: YeasA31, NaysA0; and that the Senate concurred in House amendment on May 30, 2009, by the following vote: YeasA31, NaysA0. Secretary of the Senate I hereby certify that S.B.ANo.A1145 passed the House, with amendment, on MayA26,A2009, bythe following vote: YeasA147,NaysA0, one present not voting. I want to thank everyone who responded. society, but the state flag may be retired in a private ceremony. honor and respect inherent in the traditions of this state. this state should stand at attention. I am your Texas flag! 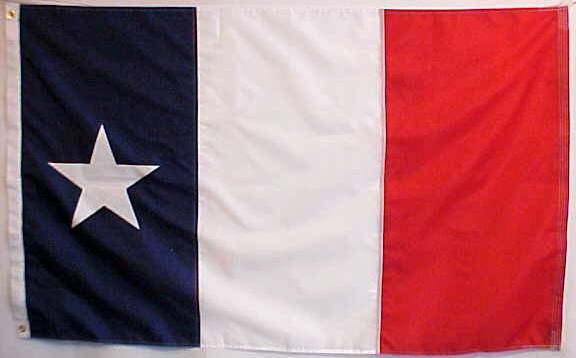 I was born January 25, 1839.
as the symbol of an independent nation--The Republic of Texas. I represent the spirit of Texas--Yesterday, Today, and Tomorrow! I represent the bravery of the Alamo and the Victory at San Jacinto. of the Texas Hill Country. of Texas is my home! deep in the rich soil of the Rio Grande Valley. the concrete canyons of downtown Dallas. Grandeur of the Rio Grande. I represent Texas--every Child, Woman, and Man! Let us retire the blue--Salute! Let us retire the white--Salute! Let us retire the red--Salute! 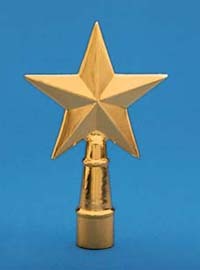 Let us retire the lone star--Salute!